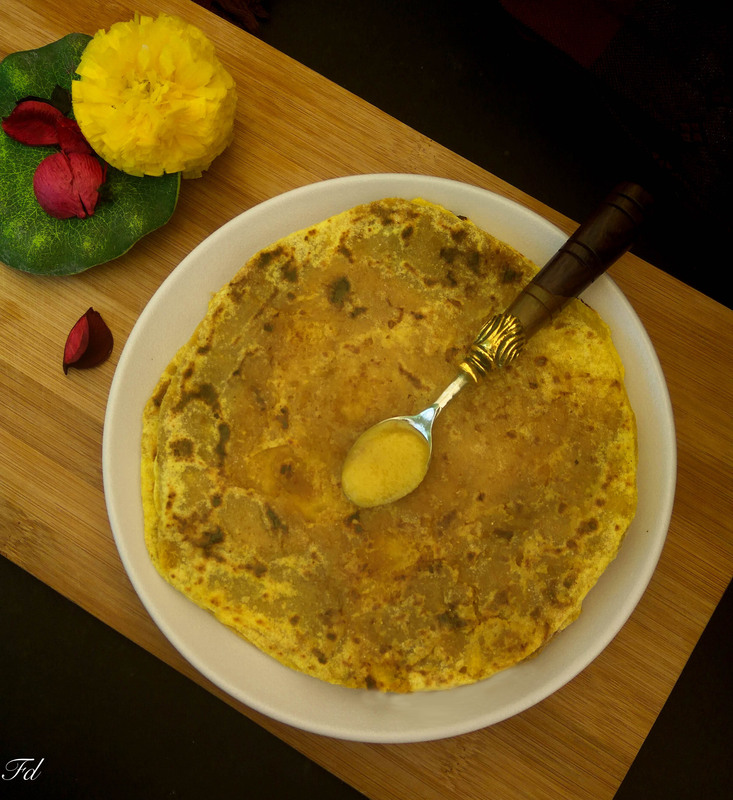 Obbattu / Puran Poli / Holige is a flat bread with sweet filling. It is know in various names at various regions and filling too varies in different region. 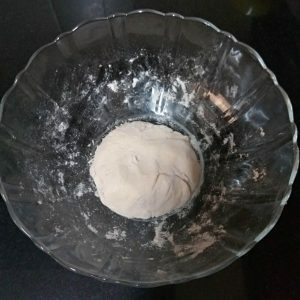 This is a recipe of Obbattu with channa dal filling. 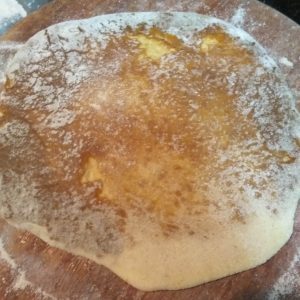 In a mixing bowl add maida, a pinch of turmeric powder with salt to make dough adding 1 tbsp oil and enough water.Sprinkle 1 tbsp oil on top of the prepared dough. 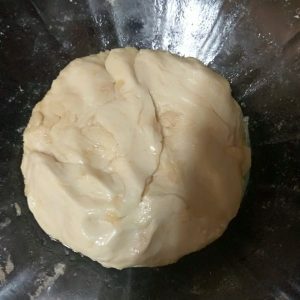 Cover and allow the dough to rest for 3 hours. 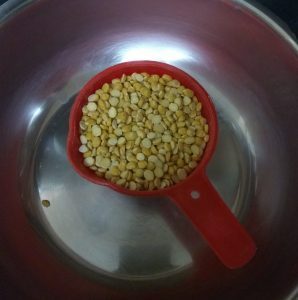 Wash and cook channa dal in a pressure cooker with 3 cup of water for 3-4 whistle or until cooked. 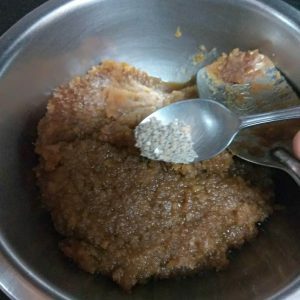 Allow the steam to escape.Add jaggery grated / powder and mix well . 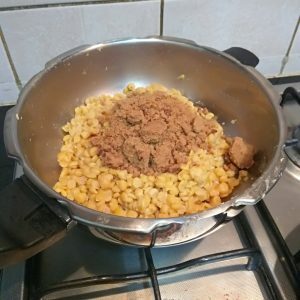 Cook in low flame until jaggery mixes well with channa dal and Poornam becomes thick. 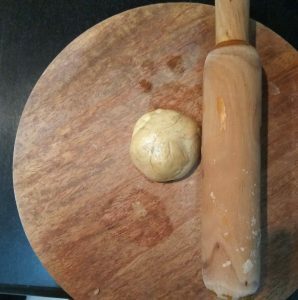 Make equal size small balls out of the prepared dough and roll out sprinkling rice flour as needed.Divide the filling into equal size balls. 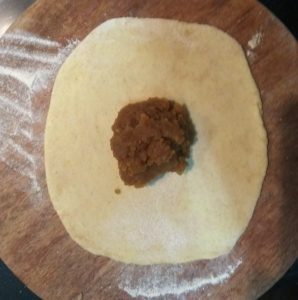 Keep the filling in the middle of the rolled out Poli and cover from all the side.Further roll out the Poli again to thin flat round shape.Heat a tawa and cook the Obbattu in medium heat on both sides brushing with enough ghee. 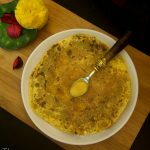 In a mixing bowl add maida, a pinch of turmeric powder with salt to make dough adding 1 tbsp oil and enough water. Sprinkle 1 tbsp oil on top of the prepared dough. 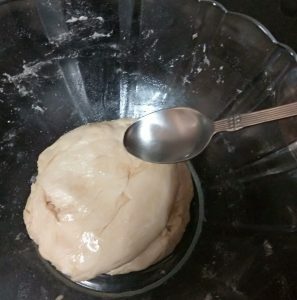 Cover and allow the dough to rest for 3 hours. 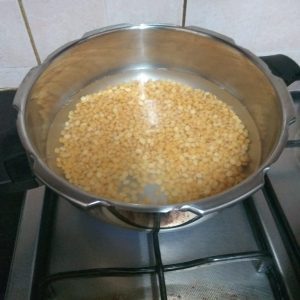 Wash and cook channa dal in a pressure cooker with 3 cup of water for 3-4 whistle or until cooked. Allow the steam to escape. 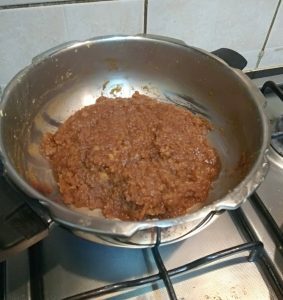 Add jaggery grated / powder and mix well . 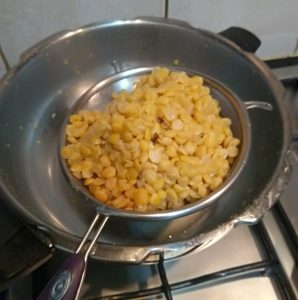 Cook in low flame until jaggery mixes well with channa dal and Poornam becomes thick. 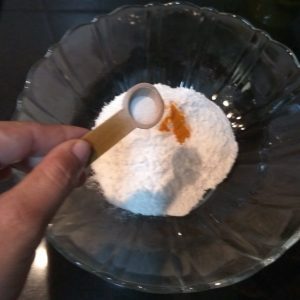 Add cardamom powder mix well. 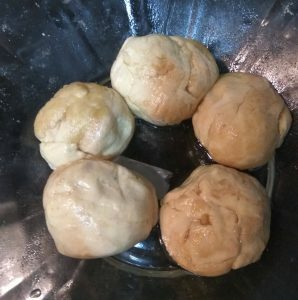 Make equal size small balls out of the prepared dough and roll out sprinkling rice flour as needed. divide the filling into equal size balls. Keep the filling in the middle of the rolled out Poli and cover from all the sides. Further roll out the Poli again to thin flat round shape. 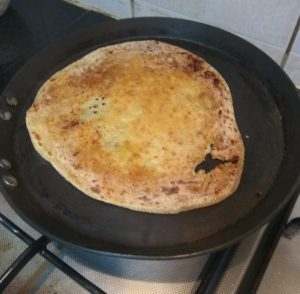 Heat a tawa and cook the Obbattu in medium heat on both sides brushing with enough ghee.